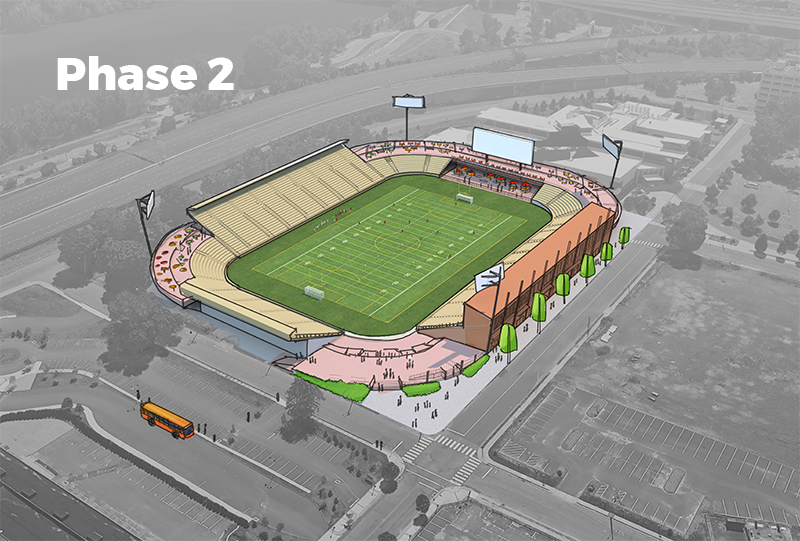 Our Dillon Stadium plan is designed in phases that grows with our community's needs. Phases are based on identified user groups that are engaged during our development process. Our goal is to make the stadium available for as many groups as possible —- not just a single team —— and reflective of the community's values and feedback. We have secured $1.5 million in private funding for Phase 1A which will provide a new turf playing surface, the necessary safety improvements, new lighting and AV equipment. 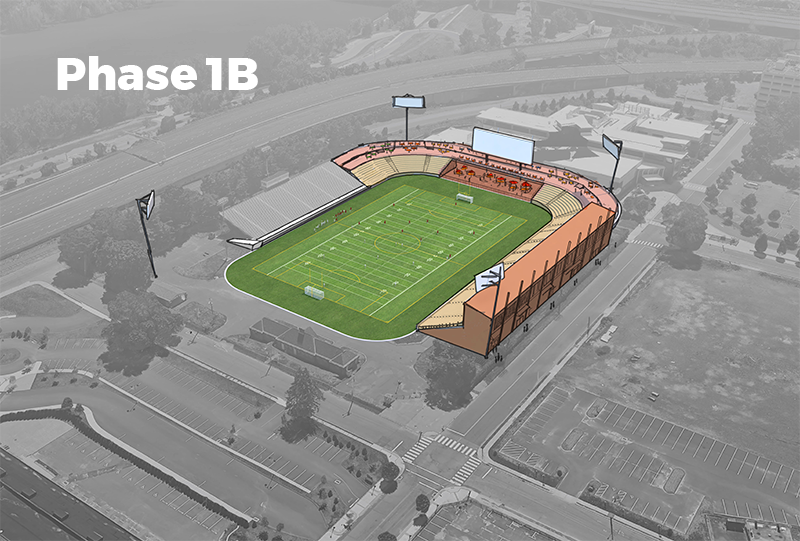 Phase 1A will restore core functionality, upgrade key amenities and ensure player and fan safety. Design renderings for each phase offer a look at our development approach and the mixed use of the facility. These are not final plans. Each phase will be designed ——together—— with the community during our Master Planning Process. Scroll left and right to see different design phases.